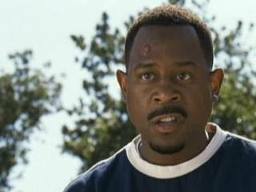 I’ll go ahead and agree with the masses: Martin Lawrence has made some stupendously stupid movies: Big Mama’s House, Black Knight, Big Mama’s House 2…nothing exactly blockbuster worthy. I think he himself can be pretty funny, but the movies he makes or chooses are trash. But then there’s one movie that, by all means, should be at the bottom of the barrel. Welcome Home, Roscoe Jenkins. Just look at that title and you get the movie. Main guy visits, family antics, they learn to love each other. The end. And in a nutshell, that’s what it is. However, this movie gave me something genuinely surprising: a remarkably accurate look at the psychology of healing. Roscoe (Lawrence) is a successful Prime-Time talk show host who leans heavily on his philosophy of relying on himself. Why? Because he felt neglected by his family, so he learned to survive on his own. However, he decides (for various, surprisingly-legitimate reasons) to attend his parents’ 50th wedding anniversary weekend. Yes, we get a few typical nutty hi-jinx because that’s what happens in every single real family (read: scripted), but it actually follows are remarkably true path to family unity that actually does inspire. I know! 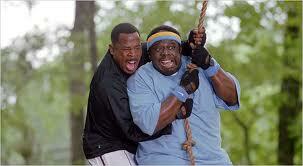 In a Martin Lawrence family comedy! Basically, Roscoe felt neglected by dad, bullied by his siblings, and constantly lived in his perfect cousin’s shadow. So when he leaves, he doesn’t come back for nine full years. Ever known somebody like this? 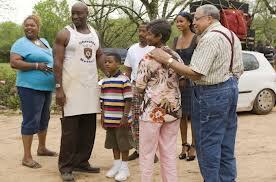 Maybe they ran away like Roscoe, maybe they stuck around, but ignored the problems in the family. I was like this. I ignored some of the problems in my family, staying on good terms. Even today, I have trouble admitting that there were problems because it’s too hard to face. So Roscoe leaves for nine years, becomes a rich TV star, gets engaged to another celebrity, and has a son, so when he finally returns home in all his pomp and splendor, where is he? That’s right. Exactly where he left off. His older brother is still a giant of a man, still able to pick on him (Roscoe deserves it). His sister is still played by Monique. One of his cousins is still conning him left and right. And his other cousin, Clyde, is not only still courting Roscoe’s old love, but still getting all the attention from Daddy that Roscoe never got. Wounds are aren’t dealt with never go away. That’s a painful truth that Roscoe learns, coming home in all his superstardom, still at the bottom of his family’s totem pole. Even if things have improved, those hurts and wrongs don’t just disappear if they’ve never been addressed. My dad and I kept a good relationship, but for years, I never addressed the wounds he’d given me. I just hoped they’d disappear, but they never did. Finally, I decided to deal with it. But dealing with it requires returning to that state of pain. For Roscoe, it was the race. Roscoe’s family held homemade obstacle course every year. As a child, Roscoe and cousin Clyde bet that whoever won would take the beautiful Lucinda to the dance. Roscoe had never won against Clyde in anything, but this time, he finally prevailed. But Clyde was slimy. He had already asked Lucinda to the dance. Roscoe went to daddy for support, but got punished instead for making a girl the prize in a gamble. But when Clyde came home from his hot date, he weaseled his way out of his punishment and got off scott-free. Now, many years later, Roscoe is still sore over the loss and injustice. They decided to have the race again. Once more, Roscoe wins, but once more, he loses. 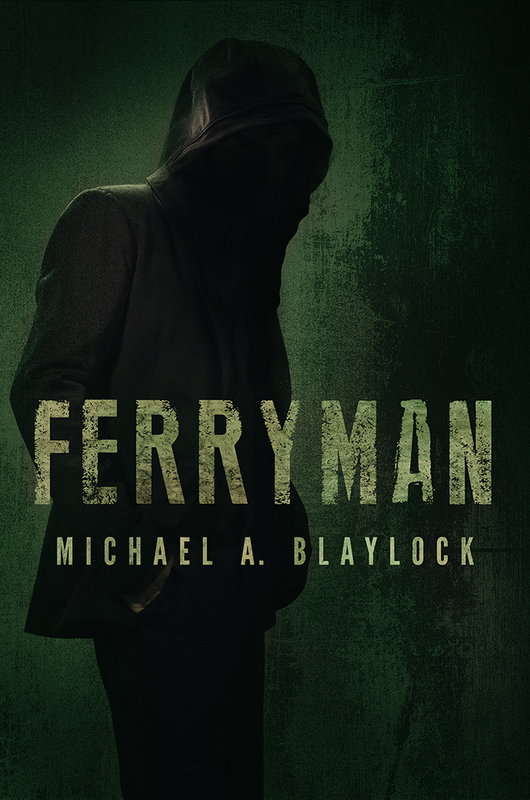 His family calls him out on his selfishness, pushing children aside to win the race, even his own son, all for his own glory. 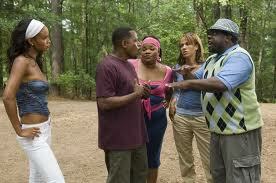 Then, there’s the confrontation with the angry father again. Once more, Roscoe is a child, staring at his own loss, under the stern gaze of daddy, being shamed in front of his whole family. But this is the place of healing. This is where Roscoe was hurt. This is where Roscoe must be healed. You can only get better by going back to where you were hurt, wronged, betrayed, or abandoned. Something was never settled there, like a pothole that you keep driving over, banging your car every time. That hole needs to be filled. Why was my dad harder on me than my brother? Why was he more interested in peace than justice, punishing us equally when the crimes were not equal? Why did he expect me to know so much without any experience? Why did you tell me to stand up for myself, then yell at me when I did? My father was not a mean person. He loved us very much, and still does. He wasn’t trying to be cruel or wicked. He never had a tint of anything but love in his heart for his whole family. That’s why he worked night shifts, to see his boys in the daytime. That’s why he set Friday night aside every week without fail to date his wife. But my father was a human. Humans make mistakes. God showed me that I could either pine over my dad’s genuine errors in judgement, or I could carry them the rest of my life, like a dagger firmly wedged into my ribs. It was a church that I made that decision in my heart to forgive Daddy. I didn’t say much, I just told him I was sorry for all the anger I’d held towards him, of which he was never even aware. And better yet, Dad apologized for being too human. As with all movies, Roscoe had to leave, ditch his psychotic fiance, and THEN come back home. He decides that they were all so hard on him, but they loved him, and every ounce of pain he’d received this weekend he’d brought on himself with his pride. He humbles himself in front of his entire family, and they make up. He finally gets the nerve to stop playing games and simply ask out his old crush. And best of all, Daddy dearest finally sees the pain he unwittingly put on his son all his life and apologizes to his face. He opens the 50-inch TV at last, a symbol of acknowledgement and acceptance. It’s a common pattern. Pain occurs, we run from it, but it follows us until we deal with it. Like a broken leg. You can either accept your brokenness and tend to the wound, or you can keep running and make the wound worse. Roscoe had to admit his pain, to go right back to the source of his injury, and treat the wound before he’d ever move on. 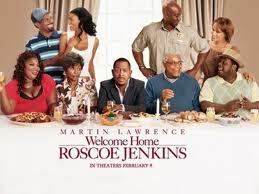 So, no, Welcome Home, Roscoe Jenkins is not the perfect movie. There’s some pretty bad comedy here and there, but it’s funnier than you would think. The thing I love, however, is how true the journey is from hurt to healing. 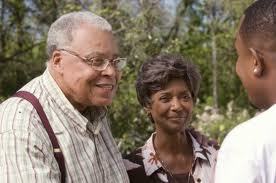 And if that’s not enough to make you rent this film, I have two names for you: James Earl Jones and Michael Clark Duncan. < Previous Thanks, Thoughts, and Th-Th-…Questions. I was also pleasantly surprised by this movie.